After 40 years of turmoil from 1963 to 2002, the Kingdom of Cambodia has emerged as a safe and welcoming country with sights to make your jaw drop. The country promotes itself as the ‘kingdom of wonders’ and to many people that means the temples around Angkor Wat but this is only the start of the wonders of Cambodia. How about rivers that flow backwards for a start? The country is squeezed between Thailand, Vietnam and Laos with the Mekong River flowing down the middle from the Himalayas to Vietnam and the Tonle Sap Lake draining down from Thailand. Both water systems flow south but so much water comes down the Mekong in November that the Tonle Sap River reverses direction and flows back to the lake. This natural event is celebrated with the Bon Om Touk water festival including spectacular dragon boat racing, fireworks, special foods and water parades. 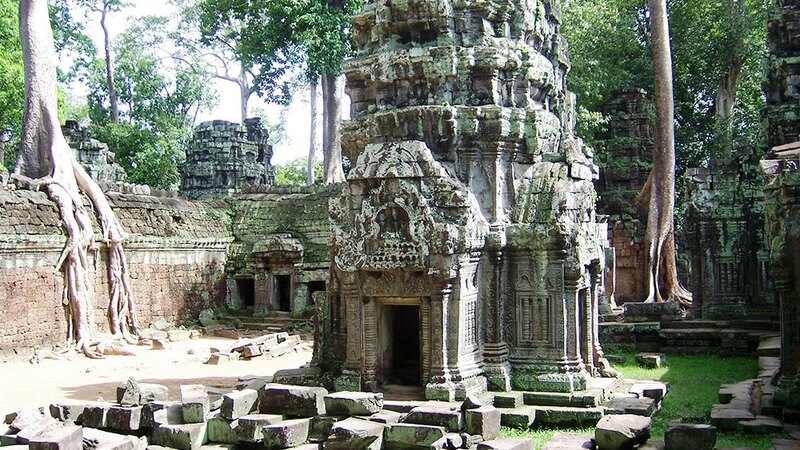 To avoid the wet season the best time to visit Cambodia is from November through to February. Many visitors focus on the capital Phnom Penh, Siem Reap close to the Anghor Wat site and Sihanoukville, a growing port and tourist town on the Gulf of Thailand. 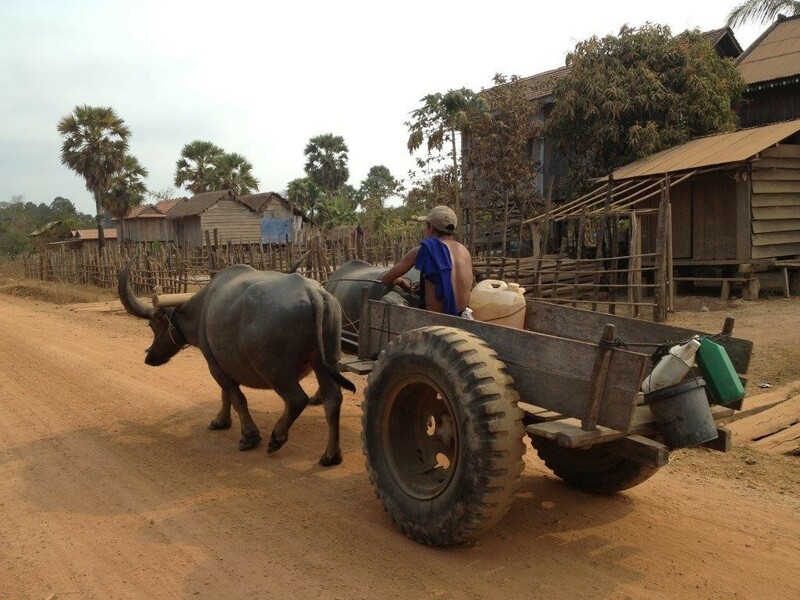 But the real Cambodia lies outside the main towns in the country areas. Hiring a car and driver for a guided tour is a good way to explore the rural areas as there is little in the way of regular public transport. 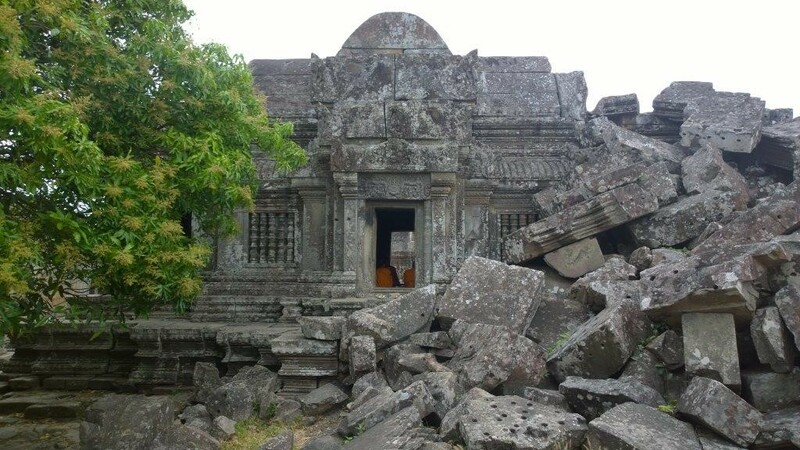 Anyone travelling in Cambodia, could easily get ‘templed out’ because there are so many temples – most dating back to the Angkorian period of the 9th to 15th centuries. There was a patchwork of temples all over the country as successive ‘god-kings’ strove to outdo their predecessor. Most buildings of the time were built of wood and the stone temples were reserved for the gods. Of course the remains that can be seen today don’t compare to what they must have looked like 1,000 years ago.Originally they would have been decorated with murals, woodwork, tapestries, flooring and gardens. Nevertheless there are still impressive structures and many are still used by monks and worshippers. Some guide books suggest allowing up to three weeks to explore and appreciate the temples around Siem Reap but one or two days is probably enough for most people. It is a good idea to join a tour to see the main sites and hear about the history or hire a tuk-tuk for the day to take you to the various temples. 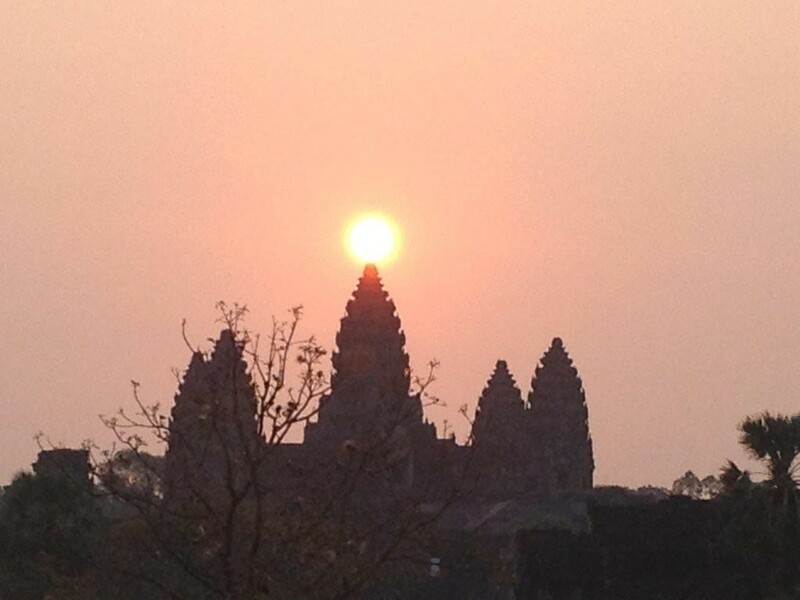 Seeing Angkor Wat as the sun comes up is recognised as one of the ‘must-do’ activities. The temples are impressive in their scale but also in the remaining detail. 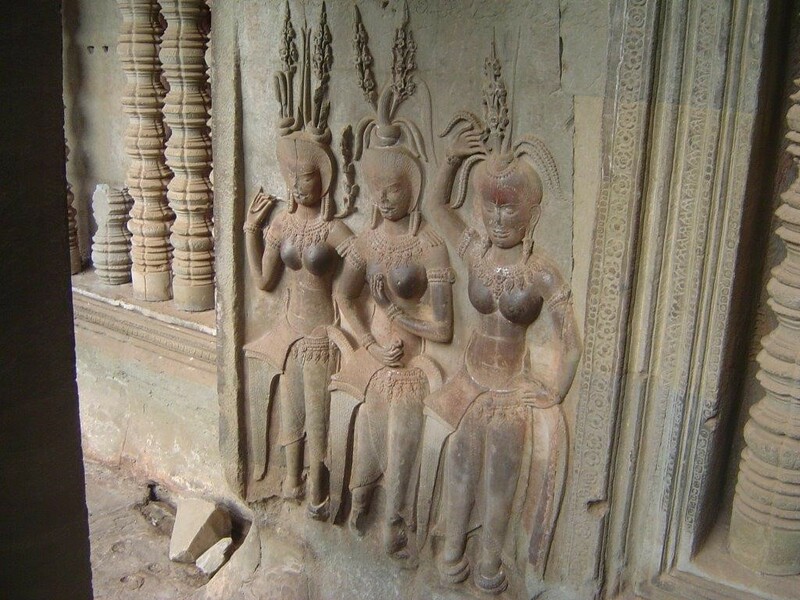 The main temple at Angkor Wat has carvings of 2,000 apsaras (heavenly nymphs) on its walls and every one of them is different. Ta Prohm has long walls of carvings showing everyday scenes of families, builders, soldiers and traders that can take your attention for hours. Like its neighbours Cambodia is focused on raising the standard of the living for all the population. Most people have mobile phones and small motorbikes and step-throughs are everywhere. Mechanical means are gradually replacing the horse and buffalo. But it’s still common to see buffaloes pulling wagons and the driver is on his mobile phone. Small motorbikes have been put to use pulling trailers with people or goods as traders ply their wares along the road. In many ways Cambodia is a ‘frontier’ nation and the people have had to create what they could from the materials that were available. There are now many major road bridges over the Mekong often sponsored by other nations to assist the growth of Cambodia. 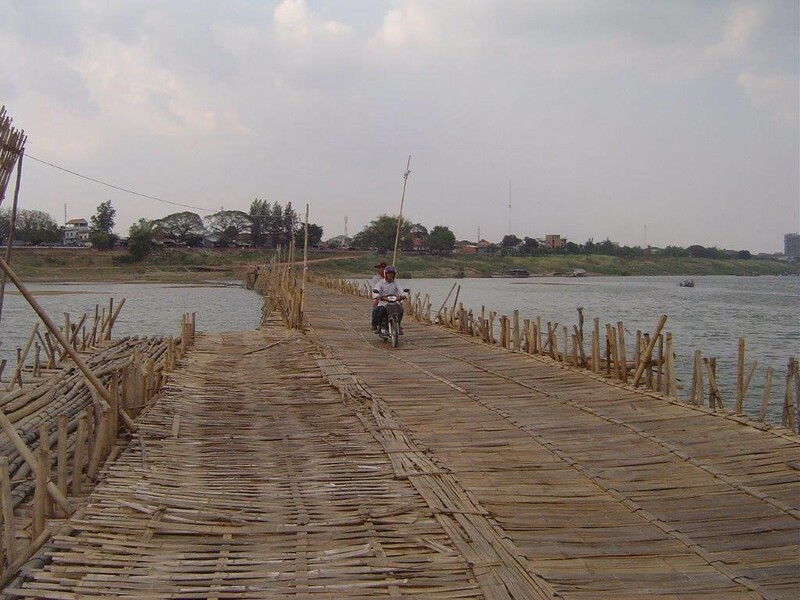 One bridge at Kampong Cham which crosses to an island in the Mekong is made entirely of bamboo. It’s strong enough to take cars but not to withstand the annual floods so it is rebuilt every year. The French built railways in the 1920s but they fell into disuse during the civil wars.Ever resourceful, the Cambodians built ‘bamboo trains’ to run on the remaining tracks. 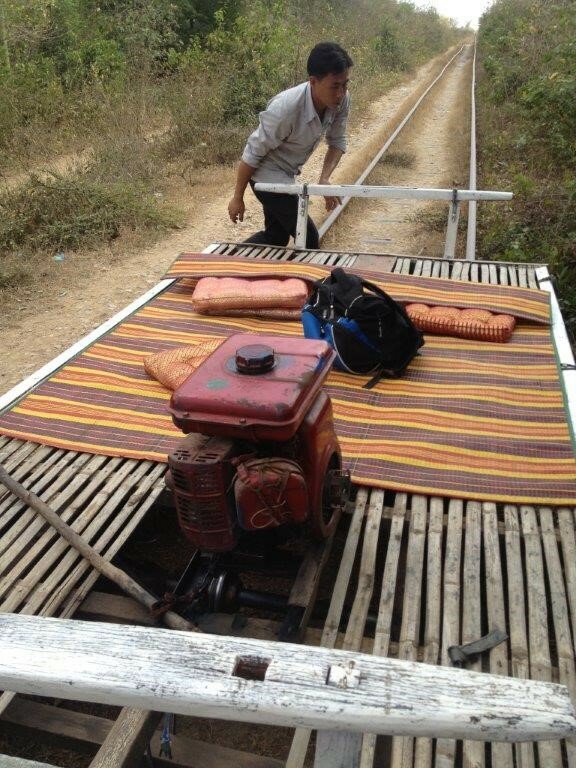 At Battambang these trains still run. They look like a flat wagon made of bamboo sitting on two bogies and are powered by a little petrol engine. The railway is only single track so if two trains meet, one has to be dismantled and lifted off the track for the other to pass. 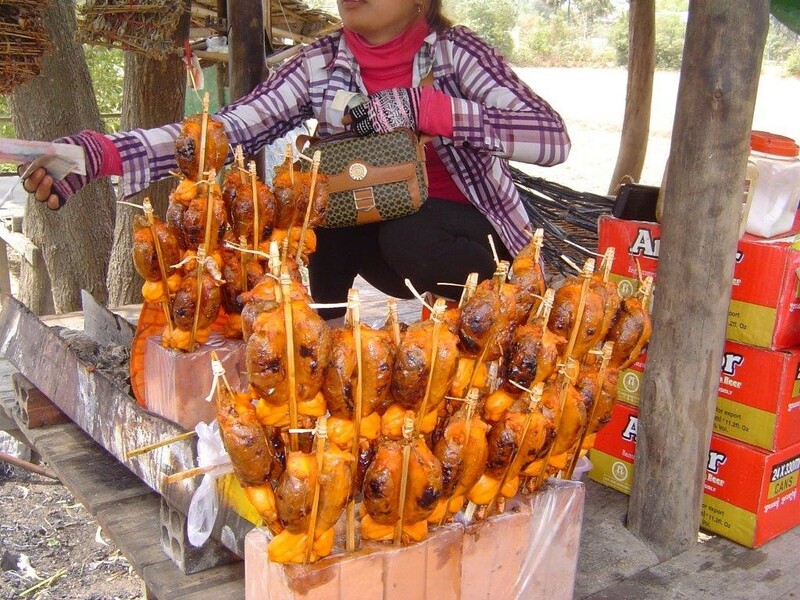 Periods of hardship have led Cambodians to find creative ways to feed themselves. Roadside stalls sell everything from pork ribs and noodle soup to sticky sweet rice in banana leaves to beetles and barbequed frogs. The frogs are hollowed out and filled with a spicy peanut paste and are really tasty. 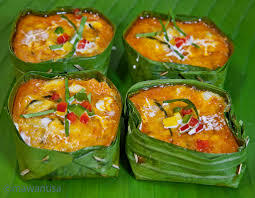 More conventionally amok trey is a common dish – freshwater fish covered with shallots, lemongrass and lime and roasted with peanuts, coconut milk and egg and then steamed in banana leaves. The Cambodians have an unbreakable spirit and infectious optimism and smiles are everywhere. 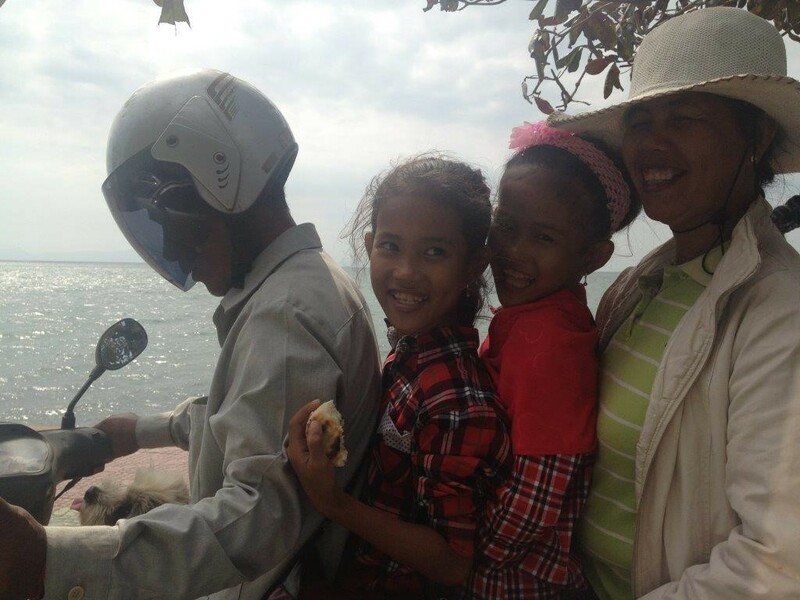 If you visit Cambodia the smiles of children and adults alike will stay with you long after you leave. 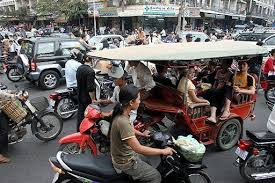 There are virtually no road rules in Cambodia. At first it looks like chaos but there is a system and amazingly it works. Everyone gives way to others and there is no road rage. 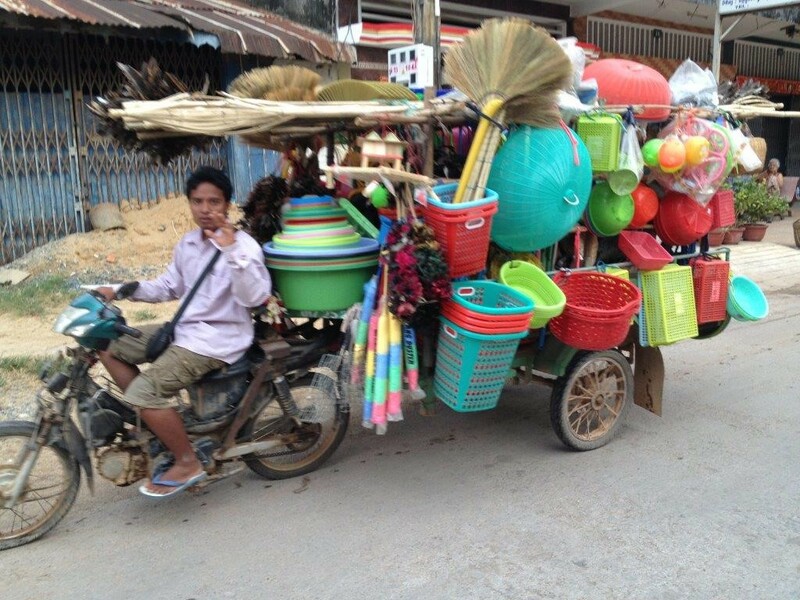 We can learn a thing or two from the Cambodians.